PCIM Europe 2018, has issued a call for papers for its conference. The conference is inviting experts from the power electronics industry or academia to present their latest findings and developments in the form of lectures or poster presentations. As the leading event in the field of power electronics, PCIM offers the chance for experts to present their findings to more than 800 professionals within the industry. As an added bonus, the chosen papers will also be published in the PCIM Europe Proceedings, IET Inspec-Direct, Compendex, Scopus and IEEEXPLORE. The conference will be held from the 5th-7th June 2018 in Nuremberg, Germany, and creates a platform for experts to demonstrate their expertise, exchange specialist knowledge and inform an international audience about the latest results and developments in the field of power electronics. With the abstracts due by the 16th October 2017, this is one opportunity that shouldn’t be missed. For further information or to find out how to submit your abstract please click here. After our last successful event in April, we are hosting a lunch for B2B marketing professionals with our sister company Peter Bush Communications on Thursday 5th October 2017 at The London Meeting Rooms, Hallam Street, London. There is a limited number of places to our event, so Register Now and secure your place. What’s New in Electronics Live (WNIE LIVE) has decided to make a few big changes to their 2018 event after receiving some interesting feedback from a post-event survey sent to all previous exhibitors. The survey has revealed some interesting and surprising results about the industry and exhibitors' opinions, with many revealing that a 2-day event is what this industry needs; as a 3-day long event does not work as successfully for this sector. Whilst an encouraging 97% of respondents confirmed that they wanted a dedicated UK Electronics Event; WNIE LIVE also discovered that the date line being in the Spring isn’t necessarily the best time of year. The survey also revealed a few further key results. These included the issue of co-located events, and the belief that they are only good as long as they are relevant. Respondents also revealed that having good features and technical content was also key to achieving a successful exhibition. This post-event survey has revealed a mixture of results, which will not only help WNIE LIVE for their future events, but also exhibitors, professionals and organisers of other events in the upcoming future. It seems we can all take note and learn from these results, from the length of the event, to the location, we can all learn how to make events and exhibitions in the electronics industry more successful. This is exactly what WNIE LIVE has done. After successfully seeking exhibitors' opinions, they are responding in the best way possible, using the feedback to implement changes in their 2018 event. To move forward, WNIE LIVE will be co-locating with Sensors & Instrumentation and Micro Nano Mems in a shared hall but as separate events. The Event will also run over 2 days from 25th - 26th September 2018 at The NEC. Video has rapidly grown in popularity, proving itself as a vitally important tool for marketers, that also has a positive effect on SEO. With some studies saying 90% of a customer’s decision to purchase is made before they contact the sales team, marketers are beginning to understand the need to deliver content using a variety of media, which has driven increased use of video in content marketing strategies to help build relationships with online audiences. Yet, video marketing isn’t easy. Creating the perfect video content can be a gruelling process for marketers, as they struggle with not only creating original and interesting content, but also knowing where to promote their video. 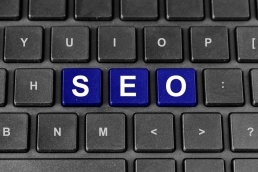 So how can you ensure your video is improving your website SEO? Make sure Your Video Content is ‘Good’. Video content needs to be relevant, surprising and helpful to make a positive effect on your SEO. Make your video stand out from the noise with content that is significant to your targeted audience. Creating and posting a video isn’t any good, if no one knows it’s there. It is vital to share, tweet and re-tweet your video. Informing your audience over a variety of social media sites, will not only increase the views of your video, but increase the likelihood of your video being found and driving traffic to your site. Often the presence of the video itself on your website, can be one of the most important factors in increasing your SEO. Video is viewed as evidence of quality content, and helps send signals to search engines that your page or site contains rich media relevant to search requests. YouTube is the second most popular website in the world, and it is almost essential to post your Video on the site, as well as your own website. Video’s hosted on YouTube have a much larger potential audience, which in turn can translate into more views. The key to achieving successful video content, is to define your goals, and know exactly what you want to achieve from your video. You should set realistic expectations for your video and know who you want to target. Having a defined goal for your video can only help you achieve success in the long run. 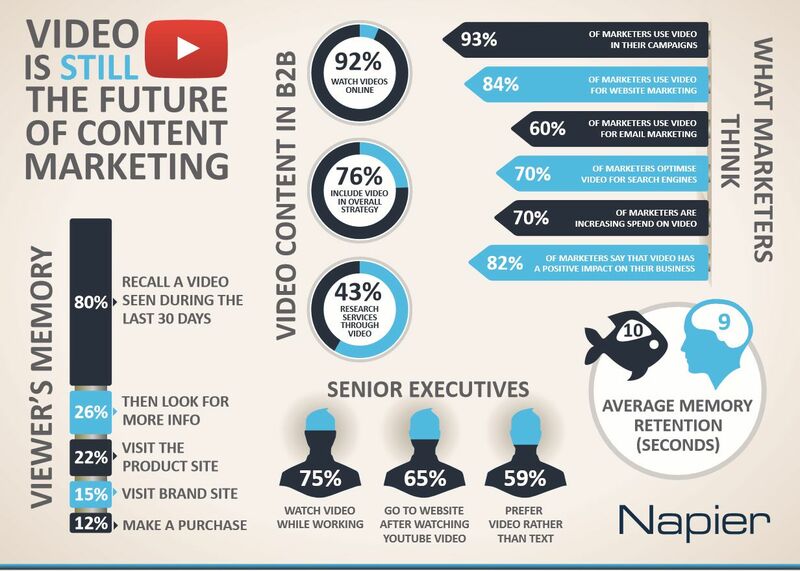 Have you read our Facts and Figures of Video Content Marketing Tip Sheet yet? For even more Tips Click Here. As the B2B Industry has developed and grown over the years, the way marketers and professionals approach advertising has had to change. In a new world, where internet advertising is a vital part of the marketing mix, the performance of online display adverts can be crucial to companies who are trying to reach their advertising goals. We conducted a study with the University of Chichester, examining the factors that have an impact on the performance of online display adverts in the B2B Electronics Components Industry. The research included interviews with marketing managers and analysis of over 400 campaigns on B2B Electronic Components websites across Europe. We looked at several factors which could affect the performance of these online display ads, including the advert position and size of the traffic to the website. The study presented a surprising mixture of results. A surprising finding of the study, was that the size of the ad unit, has little effect on the advertisement’s performance. Other factors have a far greater influence. 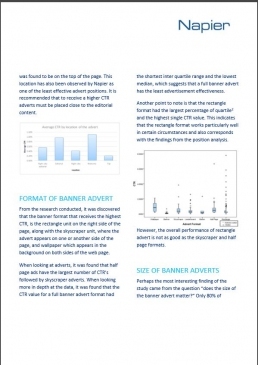 Perhaps less surprisingly, the research also revealed that the number of adverts per page is one of the strongest factors influencing the success of CTRs, with sites that have a lot of advert slots reducing the effectiveness of the adverts that run on them. To learn more and read about the results of the full study, please click here to download the whole report. Hardware Pioneers, one of the largest IoT communities in Europe, has announced their second IoT and connected hardware showcase for the 5th October 2017. With over 300 people expected to attend, Hardware Pioneers has invited both leading and emerging technology providers in the IoT sector, to showcase their latest innovations in London. The showcase is an opportunity for professionals, experts and engineers to connect, educate and inspire other pioneers, while bringing together the major technology providers and most promising IoT and hardware start-ups in this sector. From components distributors to electronics manufacturers, Hardware Pioneers present a platform where a flourishing community of innovators can connect and share. Held in a new venue in the centre of London’s Tech District, just a five-minute walk away from Old Street’s ‘silicon roundabout’, and with free entry to the event, this is definitely one showcase not to miss. To find out more about this event and how to register, click here for more information. 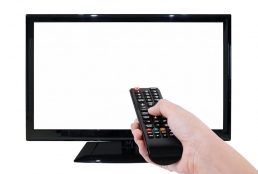 Electronics Weekly has announced the launch of a new reader and advertising service EW TV. The publication has previously prided themselves on the video content they host on electronicsweekly.com, and has decided to take this one step further, creating a dedicated TV channel to host all video. The launch comes after Cisco pronounced that by 2021, IP video traffic will account for 89% of all consumer internet traffic, which is up from 73% in 2016. Additionally, from 2016 to 2021 CAGR will be 21% in Petabytes per month, in the B2B space alone. As a publication, which is continually innovating, and keeping ahead of the curve, Electronics Weekly are embracing the new-found importance of video, as a way to engage and create more opportunities for their audience. Electronics Weekly has also decided to celebrate their launch across the B2B electronics industry, inviting marketers and businesses to send them a link to their own video, which will be uploaded to EW TV free of charge, subject to the editor’s approval. Yet, be aware this is a time sensitive offer, as Electronics Weekly will only be accepting video links free of charge until the 30th September 2017. From the 1st October 2017, Electronics Weekly will charge to publish video content on their EW TV channel. Further to this unique opportunity, Electronics Weekly are offering the services of their in-house video team and studio, to help businesses who are unfamiliar with video content embrace this opportunity. Their help includes creating a variety of video content such as corporate videos, product tests, webinars and lead generation programmes. Niroshan Rajadurai, Executive Vice President of EMEA and ANZ at Vector Software, is the second interviewee in our marketing expert series. From his 3 biggest marketing challenges to his favourite hobby, we wanted to learn everything about our latest marketing expert. What do you like to do in your spare time (hobbies)? I enjoy playing cricket, reading business and technology literature and playing the Trumpet. My favourite type of music is Jazz, this is influenced by my interest in brass instruments. What other career would you like to have chosen if you weren't in marketing? It is an interesting question. Marketing is something that became essential as part of my day to day role. My original background was in Electrical & Electronics Engineer and Computer Science. The industry I work in today uses these skill sets. What I discovered early on when I worked as an engineer is that selling and marketing are essential skills both externally to a business and internally to your management. I think irrespective of any career path, marketing is a critical skill, and with the innovation taking place in digital marketing right now, my back ground and modern marketing are merging together. As a child, aeroplanes and robotics/AI always interested me. If I wasn't doing what I was doing today, I would be more involved in the technology in robotics/AI and it's modern day applications. What do you think have been the biggest changes to B2B marketing in the past 3 years? There has been an evolution in digital marketing and business intelligence services from that digital marketing data. Most CIOs no longer see "digital marketing" as a separate operation within the marketing team, it's now an integral part and channel for pushing messaging. The use of marketing analytics tools also help identify in real time the ROI on campaigns. An upcoming challenge is the growing trend of AdBlocking which continues to challenge how digital marketing techniques will evolve over time. What do you think will be the biggest change in the way you approach your campaigns in the next 3 years? 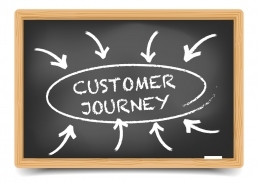 Self enablement for the end customer. We continue to notice the speed at which decisions are made continues to get shorter and shorter in our industry. Our goal is to drive our value through thought leadership, and have our website be a way of disseminating that thought leadership into a focused solution that the customer can quickly and easily identify, evaluate and procure. Part of self enablement could also extend into areas of live chat (seen now on some websites), but could extend to the application of digital intelligence and automation, with further integration into intelligent assistants (e.g. Siri/Cortana/Alexis, etc). Imagine, "Alexis, can you tell me what the current trends in DevOps are for mobile application development." 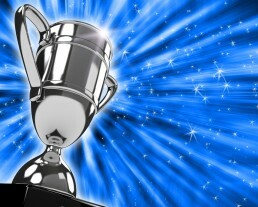 What are your 3 biggest marketing challenges? The first one is staying fresh and innovative. It is important to be on top of the research and new trends in the industry. There is a large volume of data that we consume as an organisation to stay on top of industry trends. The second one is finding new and meaningful ways to engage with clients and customers. The third one is to stand out from the crowd. Why are we different to our competitors, and the rest of the buzz around major topics. Describe the future of the trade media - will it thrive or do you think there are problems ahead? To simplify society, there are two different generations in play at the moment, one is more comfortable with printed news and the other, is happy to get content through digital sources with succinct delivery. The challenge with a periodically trade media, for instance, is that there is a lag between news occurring and it being published… This leads to a staleness in the news, which becomes old news (as it has been covered in others channels) once it reaches the reader. So, the challenge is to find a way to add value to printed news. The information needs to be solution-based, unique and perhaps driving thought leadership. What do you think is the most effective and least effective marketing activity you, or your company, undertakes (in terms of ROI)? The most effective marketing activity is problem-solving based webinars. 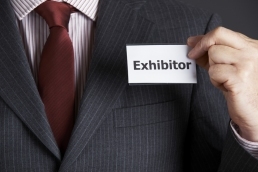 The least effective marketing activity is trade show (except for a few countries). It is difficult to get people there, as they have no time to come. What is the most over-hyped marketing tactic? Traditional paid advertising. When it comes to generating leads and filling the ales funnel, traditional outbound marketing tactics -- where marketers push their message out far and wide in the hopes that it'll resonate, it isn't as effective as it used to be. What was the best campaign you've run? Problem-solving based webinars. This resulted in a 20 time increase in the number of people participating and follow on engaging with us. What is the worst campaign you've run/tell us about a time when a campaign went wrong? We found that 'widget' or 'feature' based webinars provided no context to our customers and prospects. They were poorly attended and very often attendees misunderstood what the goal of the technology that was to be presented was supposed to be. If there is one thing you could change about the electronics press, what would it be? To go to the next level, more value needs to be added to the content. The electronics press should create communities to encourage idea and thought exchange. An interesting trend we have noticed is that PodCasts are growing in popularity. If there was one thing you could change about how agencies work with you, what would it be? I have a good relationship with Napier. When I first asked Dave to create content for us, which can be challenging as we are an engineering company, he was patient and provided guidance. This resulted in an evolution for us. So, there is nothing that I don’t like. Agencies need to continue to add value, to challenge us in the way we approach marketing. I am very happy with Napier. The only thing they could do in the future would be to act more enterprising. They could take control of broader industry challenges and problems and harmonise all of the key players in addressing the challenge, just like a project manager would. 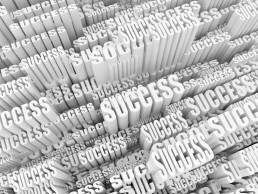 Can you explain how you define and measure success for your campaigns? We define success through people’s attendance and engagement with our content. Ultimately we can trace revenue back to campaigns we do, so from a business perspective this is the ultimate ROI. We use tools like Act-On and Sales Force to measure these KPIs. How important will social media be for your campaigns in the next 3-5 years? It's hard to tell. Social media in the traditional sense is over saturated in content. However data contained in Social Media could enable better content delivery to be targeted at individuals. Trends change so quickly, 3-5 years is a very long time away. Decision Engines are growing in popularity and generation one technology in this area is showing promise. Social Media may help drive better decision engines for content delivery to the end prospect/user. If there was one wish you could make to improve your company's marketing activities, what would it be? To continue to be strategic by finding new ways and methods to improve strategic thinking within our customers and prospects. If you could get more budget, what activity would you spend it on? I would spend it on intelligent social media. We would use it to understand what a person needs and find ways to engage with them. Have you read our first marketing expert interview with David Wright from Microchip? Click here to read the full interview. We understand that video is the future of content marketing. With an overwhelming 92% of marketers watching videos online, and 59% of senior executives preferring to watch a video than read text, Video content is a must for B2B Businesses. Our infographic featured below, highlights the potential true value and return on investment from developing this video content. At Napier, we offer full video editing capabilities, to help our clients use successful video content as a useful and realistic campaign medium; or as a way to engage and interact with their audience. 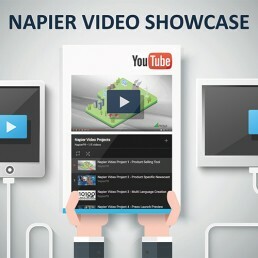 Please take a few minutes to check out our latest Video projects from the Napier YouTube channel. From there you can see great video examples from our designated project playlist. If we can help you with your video content, Get in Touch and speak to a member of our video team. I like DIY, watching football, going to concerts. What football team do you like? What music do you listen to? 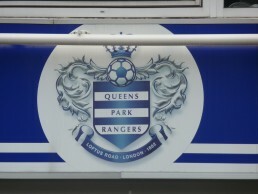 Queens Park Rangers is my favourite Football Club. I would say I have a broad taste in music, as it goes from listening to bands such as The Beatles or The Rolling Stones to Philharmonic. What other career would you have chosen if you weren’t in marketing? I like the car industry. When I started my career, I worked at Chrysler and then, I got to do a lot of different jobs including commercial training, accounting, customer relations etc… These jobs led me to marketing. What do you think has been the biggest change to B2B marketing in the past three years? 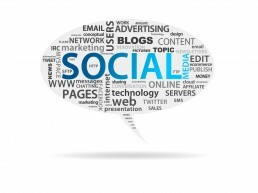 Social media has moved rapidly and is more and more significant. Information is now circulating quicker than three years ago. What do you think will be the biggest change in the way you approach your campaign in the next three years? To have a complete rounded campaign not only based on social media. There are routes to market other than online mechanism. Also, it is important to be flexible in our approach and adapt to the target audience. As they are many differences between North America and Europe, a campaign will be modified to suit the audience. What are your three biggest marketing challenges? The first one is working across multiple countries with differing cultures. Every country is different and within them people are now using iPads, smartphones and we need to tailor the message differently, depending on the culture and the device. We must look at ways to market and adapt the message to the right media. Also, translation costs are not cheap. The second challenge is time. Some processes require approval, and it can take a lot of time to obtain it (when people are travelling for instance). The third one is cost. We have a budget and we need to stick to it, even though we would like to reach the maximum audience. Describe the future of the trade media – will it thrive or do you think there are problems ahead? There is a totally different approach to trade media in Europe compared to North America. The biggest problem ahead is the fact that the Data Protection Act (DPA) will be replaced by the EU’s General Data Protection Regulation (GDPR) in May 2018. This implies that we will need to ask customers twice if they agree to provide us with data. This will be difficult to do so during exhibitions, where we collect business cards. This will take a lot of time to inform customers about what will happen to the data and how long we will store it. It depends on what people classify as ROI. For some people, exhibitions are great but others say they are useless. The problem with events is that we cannot measure what we get from them, for instance in terms of visibility for the brand or the value they brought. Also, we can only interpret if the exhibition was good or not. It could be of interest only to a minority. An effective marketing activity we undertake is emailing, following through. Definitely social media. It is not enough to measure the performance of a campaign. Also, it is important to be cautious and craft the message carefully when posting on social media. What was the best campaign you’ve run? When I worked for Black & Decker, we sold out regularly. At the time, we used printed communication. What is the worst campaign you’ve run/tell us about a time when a campaign went wrong? I don’t think a campaign ever went wrong. Of course, some campaigns resulted in lower return than what was expected but it really depends on the market sector and the target audience. Also, B2B is different from B2C so return wouldn’t really appear in the earliest months, it is more on the long term. Electronics press should send less messages and target correctly. Sending three relevant messages a week is enough. No need to send several messages that will, eventually, be deleted. I think that when an agency works with you, it becomes part of the team. Through this partnership, both parties strive to gain the best of each other. An agency brings a valuable expertise and a better view of things changing the market place. What agencies should not do is saying yes to everything. An agency needs to be aware and should not be afraid to give judgement or views. Success includes a lot of elements such as cost effectiveness, the number of contacts made, the exposure number. A campaign involves a lot of activities complementing each other, just like a big jigsaw. You start by writing a press release, then you put a video together, a poster etc… Activities relevant to the target audience. Some have a better result than others. Ultimately, what matters is how these activities complete each other throughout the campaign. The importance of social media will be ever-increasing. It will help provide statistics back to people. Also, it will be used for blanket coverage as well as strategically targeted elements. If there was one wish you could make to improve your company’s marketing activities, what would it be? I would ask for more people. When there is a takeover, the marketing team remains whereas support people are no longer part of the company. This results in loosing expertise and knowledge. I would spread the budget across all activities. It would depend on what we plan to do each month during a year. 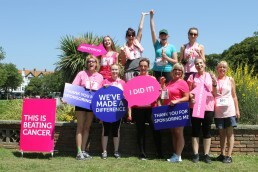 On the 18th June, members of the Napier team, including Freya Ward, Janice Ashton, Emily Serna, Clare Nicholson, Sian Hogan, Fiona Challen and Debbie McIntosh, took part in the Race for Life. After a gruelling yet enthusiastic run, we are delighted to announce that we have raised a massive £858 for Cancer Research. Melanie Bright, senior account manager at our sister branch Peter Bush Communications, also raised a huge amount of £225 during her 10K run. This means Cancer Research now has a further £1,083 to help fund the necessary research needed to help cure cancer. Well done team! 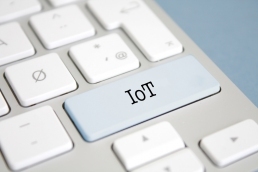 Electronics Weekly is taking advantage of the momentum gathering around IoT, as they follow on from the huge success of their previous IoT Design events, confirming a new IoT Design Seminar for the 6th December 2017. The seminar will be situated at the Grosvenor House Hotel, Park Lane and is being held on the same day as the prestigious Elektra awards. With previous events finding it hard to gain momentum in the UK, it is good to see that Electronics Weekly are taking advantage of this, and are offering new packages and options to help delegates, sponsors and partners to attend both events on the same day, ensuring they make the most of their time in London. Electronics Weekly are working hard to ensure they bring value for money, offering packages that allow you to attend both events, as well as including elements which go beyond the day itself by reaching target audiences from a marketing and lead generation perspective across all media platforms before, during and after the events. This seminar is also taking one step further, offering a new additional sponsored option called ‘Technical Spotlight’ where professionals can present commercial offers to the audience. However, be sure to get in quick, as these slots will be given on a first come first served basis. With previous successful events hosted by Electronics Weekly, attendees can be assured that this will be a high-quality event which shouldn’t be missed. But there is no need to worry if you can’t make the seminar, as a supplement will be printed and posted online about IoT Design before the seminar, meaning companies can still have a advertisement and a page of content present in front of the audience. To find out more about this event, please take a look at the website or call +44 (0)20 8253 8652 for more information. The British Engineering Excellence (BEEA) and Elektra awards have extended their deadline for award entries. BEEA awards have extended their deadline by two weeks, now accepting submissions till Friday 28th July, and the Elektra awards have extended their deadline by a week till Friday 21st July. These extended deadlines allow professionals and experts alike to give further attention to their entries, ensuring they submit award winning submissions. For further information click here for the BEEA Awards and click here to enter the Elektra Awards. Google have announced a surprising change to their services, choosing to end a practise which they have embraced since 2005, as they revealed that from later this year, they will no longer search Gmail accounts for targeted advertisements. This decision was outlined in a blog post by Google cloud computing chief Diane Greene, who joined the company in 2015 and has played a huge part in the rapid growth of Google’s cloud business. Gmail host more than 1.2 billion users worldwide, and Google’s decision to end this practise will bring this popular email service in line with its enterprise offering G Suite. Google’s G Suite business bundle have been gaining more enterprise user in the past year, with more than 3 million companies now paying for the G Suite service. Previously, Google has been under fire for their practise of analysing incoming and outgoing emails of Gmail users, and has been heavily criticized by their competitors on privacy concerns. With Google’s cloud business growing rapidly, the company is beginning to move into a different direction, and this move seems like a wise decision. 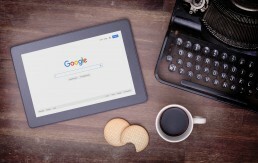 Google have acted to ensure they have effective legislation before the newest GDPR regulation takes place, allowing them to focus productively on selling their services. A study conducted with 290 French journalists on social media in 2016, between March 1st and April 15th has been released, revealing that a high percentage of French journalists rely heavily on social media. A huge 91% of respondents use social media and over half, 56% said they could not do without social media. The study revealed that many believe social media is a new indicator for journalists, with 57% using it to measure content effectiveness, whilst 32% of journalists use social media daily to monitor discussions linked to publications. The two main social media sites used are Facebook to publish and promote articles, and Twitter to research information. It is clear that social media has transformed journalism in France, with 65% considering social media as deeply changing journalism; making it no surprise that the young generation aged between 18 and 27 years old are the main age bracket using social media for more than 4 hours per day. This obvious dependency on social media, can be a shock to some, especially journalists within the B2B tech industry. In general, B2B tech professionals will only talk to around 35% of journalists through social media, as many others prefer the almost traditional routes of phone calls or emails. Although it is good to see French journalists are embracing the digital age, the approach we take with general journalists in the B2B Tech sector suggests other journalists won’t be joining them anytime soon. To take a look at the report in full, click here. Here are Napier, we are sad to report that Doug Delvin, Drives & Controls advertising sales director has passed away at the age of 64. 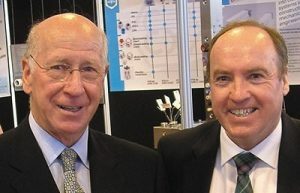 Doug was always a pleasure to work with, and highly thought of by his friends and colleagues, with a passion for the industry which will be hard to beat. He will be deeply missed. What Does HubSpot’s Annual State of Inbound Report 2017 tell Marketers? As an agency who work closely with HubSpot, we waited patiently for their annual State of Inbound Report for 2017. Each year HubSpot tracks shifts in buying behaviour, marketing challenges and sales strategies, to learn how Inbound Marketing has developed over the past year, and what predictions there is for the future. 70% of marketers surveyed revealed their top marketing priority to be converting leads into customers. This is an unsurprising result, with only a slight decline of 4% compared to last year’s report, suggesting this is still the biggest challenge marketers face when it comes to Inbound marketing. Last year, we were interested to see that marketer’s biggest priorities for their inbound marketing projects were SEO and blogging. The latest report reinforces this, with 61% of respondents prioritising SEO and 53% prioritising blog creation. The report highlights the ongoing transformations in inbound marketing, revealing paid advertising to be the highest over rated marketing tactic, and reinforces the co-dependent relationship between marketing and sales, with 44% providing a positive reaction in regards to whether sales and marketing is aligned. The 2017 report shows that closing more deals has risen in priority for marketers since last year, and 44% of respondents believe improving the efficiency of the sales and marketing funnel is a main priority. Globally a massive 71% primarily conduct inbound marketing, presenting how importance inbound marketing has become for marketers across the globe. Here at Napier, we were pleased to discover that HubSpot’s findings were closely affiliated with Napier’s focus on increasing the speed of the sales tunnel, to help leads turn into customers faster, and our belief in the importance of increasing SEO. The Smart Systems Integration 2018 has launched its call for papers, meaning experts from science and industry can now submit their manuscripts and apply for one of the coveted speakers’ slots. The conference will take place in Dresden, Germany from the 11-12 April 2018, and will be accompanied by an exhibition, creating a key platform for the Smart Systems Integration industry to meet and discuss current issues. A variety of topics will be addressed, including all aspects of smart systems, from the international research on new materials and technologies, innovative smart systems and their manufacturing technologies and issues of integration, to applications in the industry. The conference will also present application- oriented topics such as, smart mobility, smart health, smart energy, smart production and smart society, with a special focus on software aspects in connection with smart systems. Awards will be presented to the Best Paper and the Best Poster submissions, and will be rewarded with 500 Euros each, as well as being invited to be a speaker for the event in 2019. To find out more information about this conference and submission requirements, please click here. 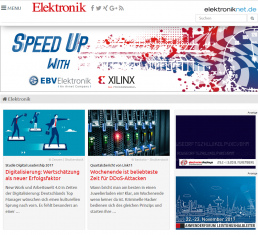 Co ngratulations to Matthias Heise who has taken over the position of Power Editor at Elektronik for WEKA- Fachmedien. 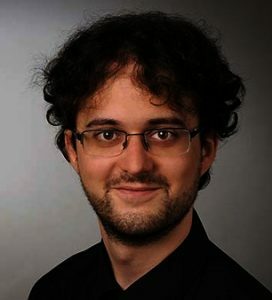 Matthias is a graduate from the University of Regensburg, and is fluent in German and in English. We wish him the best of luck in his new role. A few times a year at Napier we host a lunch for our client’s, and on the 25th April, we invited Electronics Weekly along to show us their presentation on Real World Insights for a Virtual Universe. The presentation was a great success and was very educational, giving us an insight into how, where and what we should spend our budget on, to ensure we succeed in targeting our consumers in the digital world. Electronics Weekly revealed they have been tracking and analysing online performance in detail for nearly 2 years to establish any consistent patterns consumers take, and to provide guidance in how to succeed online. The presentation disclosed a mixture of findings, but a key discovery is the growth of performance on mobile phones which is perceived as exceptional, as both mobile consumption and delivery has increased, resulting in companies seeing more website visitors through the mobile. Mobile actions have also increased, with many consumer’s researching or buying products through their mobile. Following on from this, Electronics Weekly revealed that CTR are improving and during the so called ‘quiet months’ there is no change or apparent decline in CTR, meaning there is no real seasonality of CTR, as this is advertising lead, not marketing lead. This apparent increasing popularity of the ‘Digital Universe’ now means competition is fiercer than ever, and companies must ensure they stay dynamic and evolved, by using creative ideas on integrated platforms, to help stay in touch with their consumers. 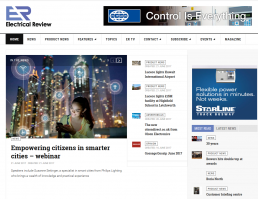 The Electrical Review team has been hard at work the last few months, hosting their second Smart Lighting Summit in March and getting ready to publish their annual Specification Guide alongside their July/August issue. Electrical Review’s Specification Guide is a valuable source of information for the electrical engineering industry, featuring exclusive editorial content and a directory of the top companies in the sector, from UPS manufacturers to lighting and automation-related specialists. The magazine has also recently released the videos from their 2017 Smart Lighting Summit, which include all presentations from the day, as well as the panel discussion, featuring some of the day’s presenters and is available on their website www.electricalreview.co.uk. If you are interested in learning more about Electrical Review’s Specification Guide or taking part in the 2018 Smart Lighting Summit, please contact Elinore Mackay at [email protected]. As we head towards the end of May, both PCIM Europe and SMT Hybrid Packaging have come to an end for 2017, both declaring their exhibitions huge successes. 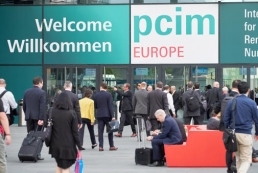 PCIM Europe 2017 closed with a record result of 10,836 visitors across 3 days. The show featured 465 exhibitors and co-exhibitors, as well as 81 represented companies who showcased new trends, developments and innovations from various fields of power electronics. The exhibition saw a growth from prior years, previously receiving 10,053 visitors in 2016, and only 771 conference attendees, compared to 816 conference attendees this year. SMT Hybrid Packaging 2017 also achieved considerable success this year, attracting around 15,000 visitors, and featuring 420 exhibitors with 32 represented companies. Their conference featured 259 attendees, which was praised for allowing visitors to refresh their knowledge and have conversations with experts. With these important exhibitions continuing to grow with each year, I look forward to seeing what PCIM Europe and SMT Hybrid Packaging will bring in 2018. Both PCIM Europe 2018 and SMT Hybrid Packaging 2018 will be held from the 5th-7th June at the Exhibition Center Nuremberg, Germany. Mark Gradwell has recently joined the IML publisher group, as he replaces Alistar Winning as the new consultant editor of Electronic Product Design and Test magazine (EPDT). Mark joins EPDT with more than a decade experience in the UK and European marketing leadership roles, previously working within the B2B industrial technology marketing communications market at National instruments, and more recently at an PR agency, Technical Associates. Although Mark isn’t an engineer, he has wide knowledge and experience of the industry, working alongside engineers in technology communication roles for nearly 15 years. With experience ranging from writing and producing technical content for clients, to communicating with the engineering press through digital and social channels, Mark is sure to be a perfect fit at Electronic Product Design and Test magazine. Mark will be joined by Sam Holland who has recently started his new role as assistant editor at Electronic Product Design and Test magazine. Electronic Product Design and Test, has become a permanent fixture in the UK electronics market for over three decades, and is the only monthly publication that covers the whole electronic product development cycle across print, digital and online. With the new editorial team in place, and plans to enhance the EPDT across all platforms, we wish Mark the best of luck in his new role as consultant editor. The ICO have recently revealed their draft guidance of the new General Data Protection Regulation which will replace the Data Protection Act 1998. This new regulation will be applied from May 2018, with the aim to set a new higher standard for consent, as it draws upon the Data Protection Act standard of consent in a number of areas, as well containing significantly more detail on European guidance and good practice. This draft version of this guidance, titled Big Data, Artificial Intelligence, Machine Learning and Data Protection has allowed a further insight into the stricter rules both advertising and marketing companies will have to face, once this regulation is in place. The ICO has recently seen progress in artificial intelligence and machine learning, proposing that these a key driver of the developments in the field of big data. This has allowed businesses to process, manipulate and extract meaning from large and complex data sets in ways which previously may not have been possible. With technology such as this influencing the future, it is easy to see why the ICO’s new draft guidance presents a higher standard for consent. This new report includes guidelines such as, to embed a privacy impact assessment framework into big data activities to identify and mitigate privacy risks, as well as proposing that if consent is the basis for big data processing, this will need to meet the new standards and be “unambiguous” and a “clear affirmative action”, which would allow the individual to withdraw the consent. 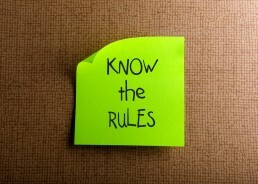 With companies such as Flype already under fire as they face a fine of £70,000, as a result of them breaching the direct marketing provisions of PECR, the importance of these new requirements this draft guideline brings forward is more cruical than ever, as organizations will have to ensure they use techniques that is compliant with the law. As these organizations begin to prep for these new guidelines, it will be interesting to see how marketing and advertising companies alike, will react and adjust to ensure they stay within the confines of this stricter consent. Why the hell should we do advertising? Advertising and Cost. Two words that can make any marketer shudder, as they cower in their chair with fear. Yet, is the cost really that high? A clever, and effective campaign executed efficiently, will do nothing but create appreciation, as a campaign stands behind values and meanings close to not only existing customers, but also a further reaching consumer base. When you take into account everything advertising does for your company, the cost slowly falls to the back of your mind, like a receding nightmare that fades with time. A campaign allows you to not only strive to be different, but to also prove you are. Apple’s Mac vs PC campaign is a prime example of this. Apple approached their campaign in a way that didn’t just show what a Mac did, but actually proved why it was different. Considered as one of the most successful campaigns ever for Apple, with a 42% market share growth in the first year. Apple plainly show that by being honest, and proving why you are different, is a clear path to the consumer’s heart (and money!). So what have we got lose if we don’t advertise? In a new world where advertising is strewn all over, from magazines, billboards, and TV. It is impossible to consider the future without advertising, as competitors get more serious and threatening every day. Aside from the obvious of your brand becoming all but forgotten by consumers, advertising campaigns ensure not only a continued interest but also loyalty from your consumers. In 2011, Coke introduced their ‘Share a Coke’ campaign in Australia which quickly spread to over 70 countries. Coke took the most personal thing to a consumer, their name and incorporated it into their advertising strategy. An ingenious idea. Coke allowed the opportunity for their consumers to express themselves through their product and share with others, ensuring they personally touched thousands of their consumers. This saw a rise in their sales of 2.5% overall after more than 10 years of steady decline. Coke, one of the most iconic brands on the planet, used advertising to encourage existing consumers to appreciate and buy their product more often. 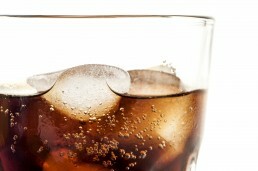 If a successful brand such as Coke, rely upon advertising to ensure the success of their brand. It certainly suggests that whether you have a small or large company, advertising shouldn’t have a question mark above it. So here’s some advice. Whether it’s a high cost or low cost, make sure you Advertise, Advertise, and Advertise! Put some thought in and make sure its creative, and remember advertising allows you to tell your story in any way, leaving it up to you to make it unique. Should You Bother with Social?